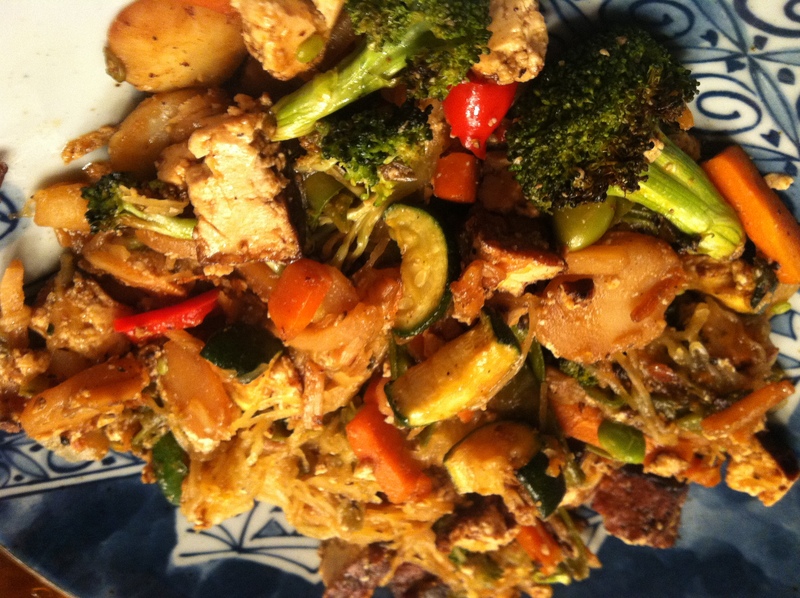 On Sunday, I posted a contest to see who could guess the mystery ingredient in my protein-packed, low-cal Chinese stir fry. 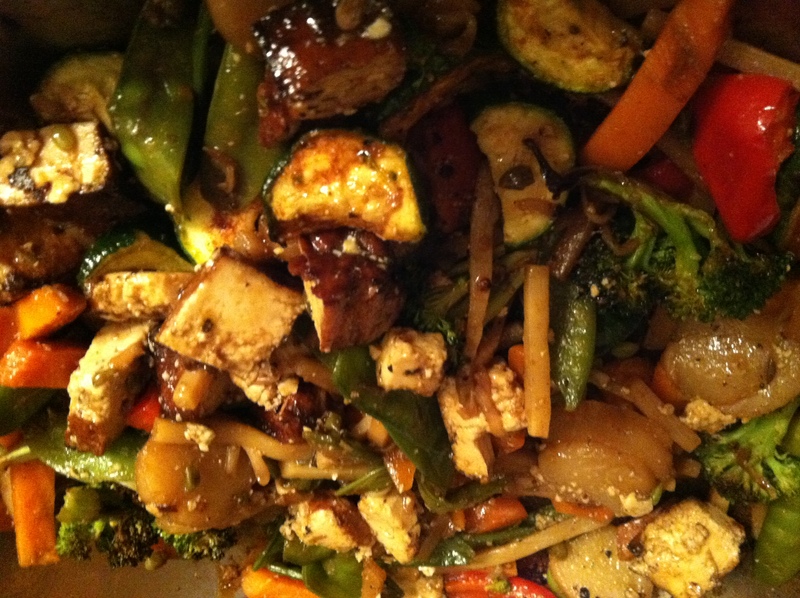 In the meantime, I went a little stir-fry crazy. Vegetables just kept finding their way to my stove. It’s one of those cooking techniques that makes a dish look oh-so-gourmet. When I say stir-fry, I do not mean fry. Does this look fried to you? It’s the magic of tossing a bag of frozen vegetables, tofu, and…. Spaghetti Squash (!!!) on a hot pan with a light spray of olive oil. 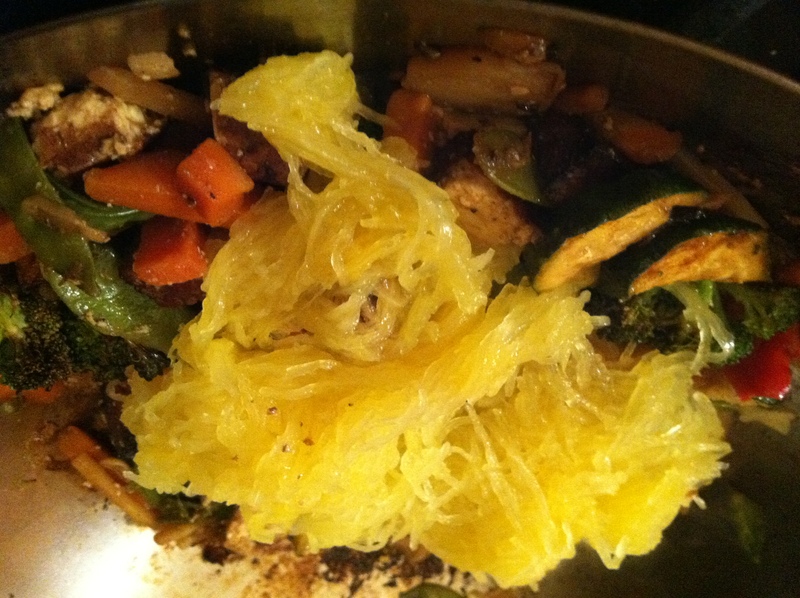 A shout-out to @Nirav Gandhi who guessed the mystery ingredient correctly is clearly no stranger to spaghetti squash! It does not texturally taste like spaghetti. it happens to be a very watery one. Preheat oven to 350 degrees. 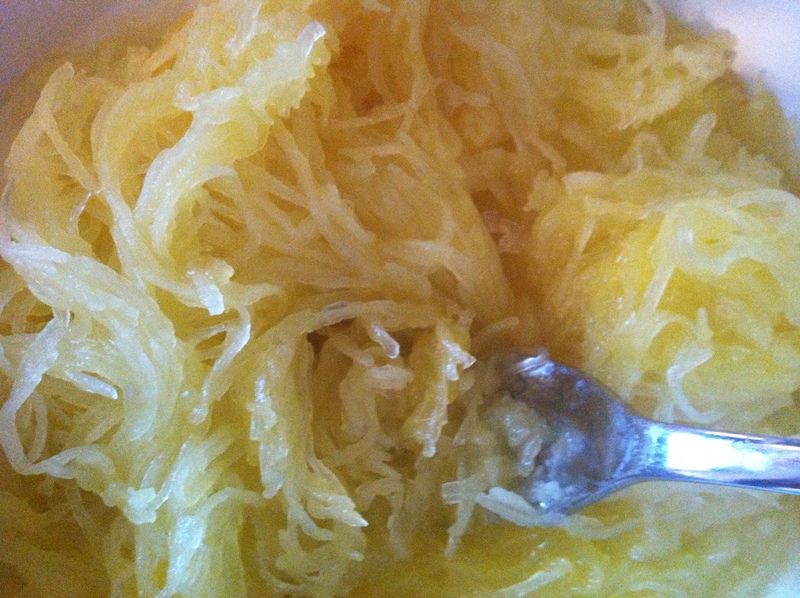 Wash spaghetti squash with cold water. Place on a paper plate in the microwave for about 2 minutes to soften it up before you cut into it. **Important…remember one-handed Rae? Using a sharp knife, slice in half lengthwise. Remove the seeds and discard. Put halves, flesh side down, in an oblong pan filled with 1/4 inch of water. Place in oven for about 30 minutes until tender. Let cool for a few minutes and then, using a fork, scrape the flesh until you get spaghetti strands as far as you can before you reach the skin. Crazy fast and easy, that is. 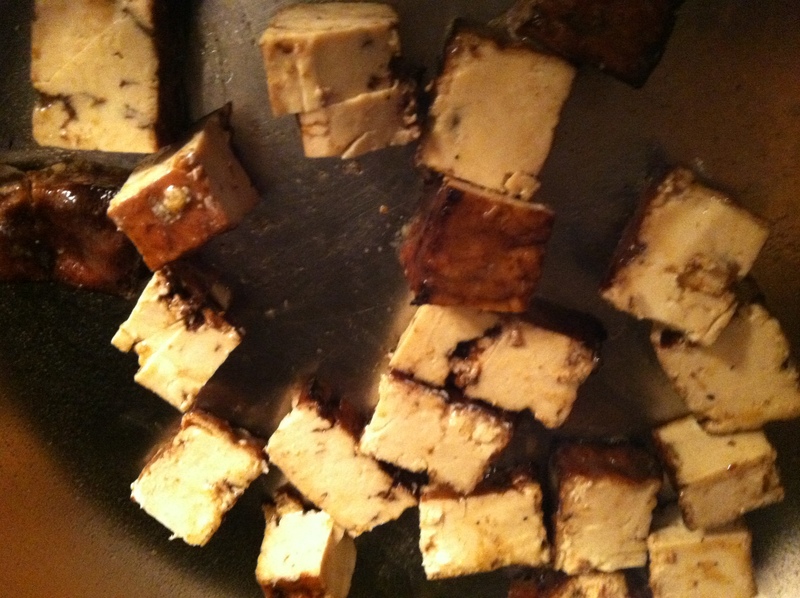 Lightly spray your pan and add your cubed tofu your pan over medium heat. When browned, add fresh chopped vegetables (or leftover roasted vegetables) to the pan. 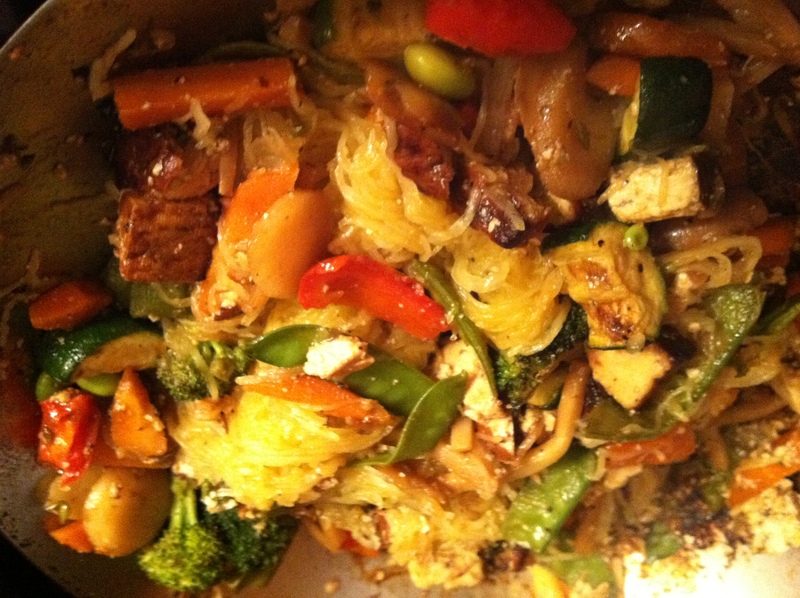 **If using frozen, put the tofu in a bowl in order to stir fry the veggies on their own so the tofu does not get soggy. Once the vegetables are cooked, add a generous pour of soy sauce to caramelize the vegetables. 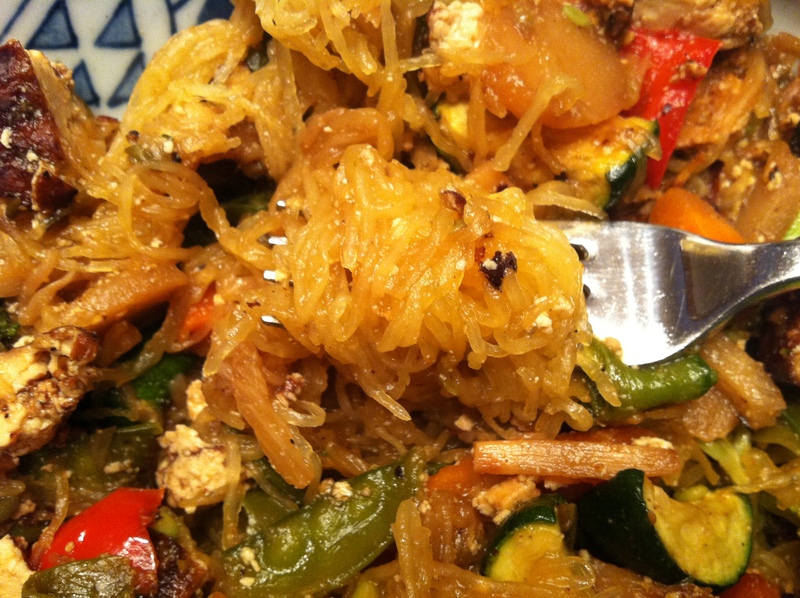 Drain the spaghetti squash and add it to the stir fry. A better-than-restaurant meal made from the comfort of your kitchen. What a delicious meal to top off a summer day in Chicago, filled with raesofsunshine! That looks great! I’ve never stir-fryed spaghetti squash, but I think I better start.